The Baltimore Sun's Jeff Zrebiec "can't see" the Ravens signing Colin Kaepernick at this point. After multiple rumors last week regarding Baltimore's interest in Kaepernick, Zrebiec believes Kaepernick's opportunity to be signed has passed. There was reportedly a rift between ownership and the coaching staff in regards to signing him, but it appears those discussions have dwindled down. 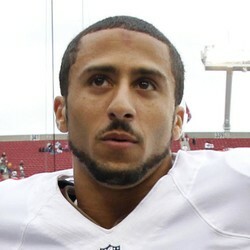 It is looking more and more likely that Kaepernick will not find a home in training camp this season.